Home / Water Sports / Surfboard Manufacturing Polyester / Low-VOC Clear “Dual-Cure” Polyester Resin – 5 & 55 Gal. 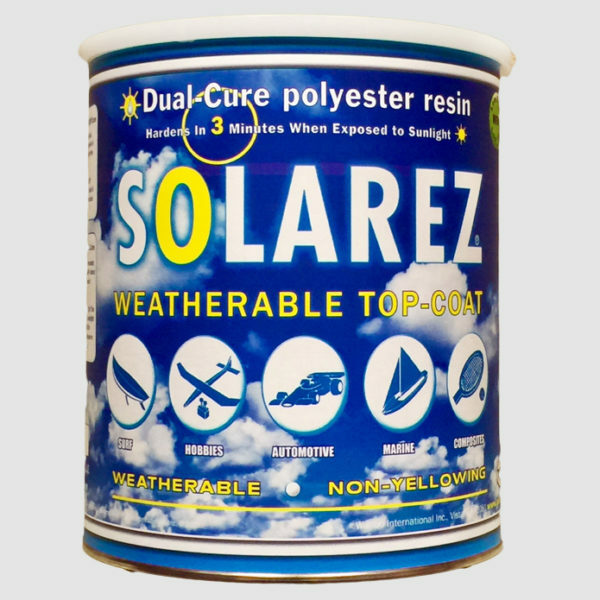 Low-VOC Clear “Dual-Cure” Polyester Resin – 5 & 55 Gal. Cures by either UV-light or by addition of MEKP catalyst. Water-clear, UV-stable, and cures with a bone-dry surface. 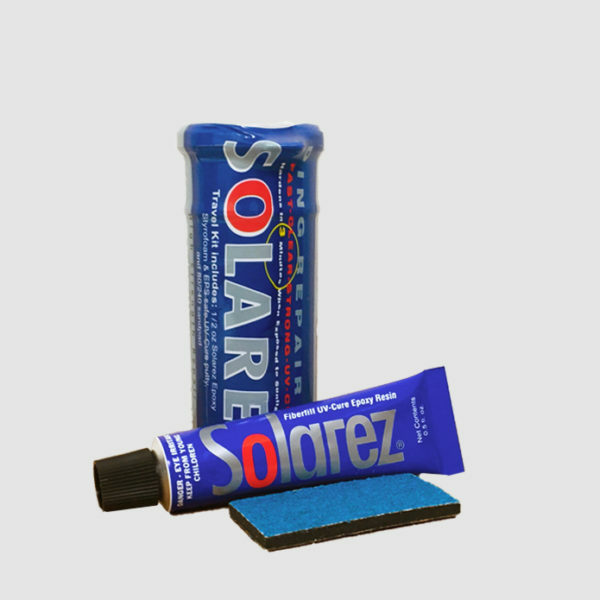 Solarez® UV Resin is specifically designed and chemically formulated for the surfboard manufacturing industry. 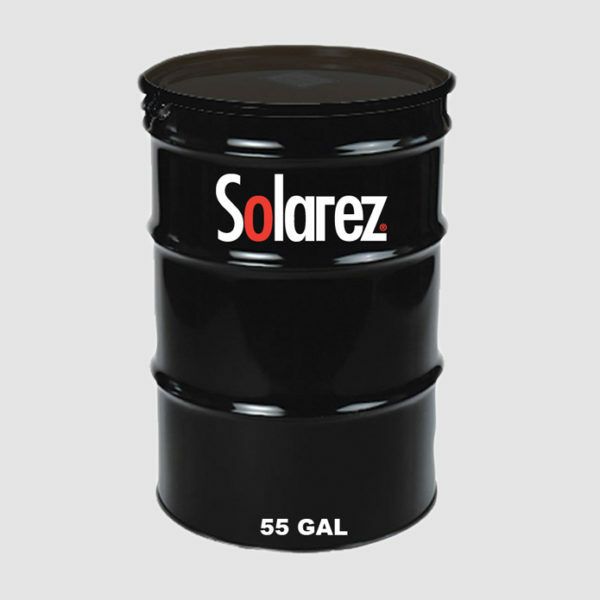 Using Solarez® offers exceptional advantages over competitors who use traditional room temperature curing hardeners such as MEKP. Comparable in cost, many of the world’s top surfboard manufacturers have realized that UV curing is the next step in surfboard materials technology. Solarez® UV Resin offers not only better performance and quality, but also massive increases in productivity and cost savings. NEW, low odor, (low VOC) polyester resin will certainly be welcomed by garage laminators (and the neighbors). This resin has much less smell than regular polyester. There is no compromise in any of the physical characteristics.